"If the product in question is not a drug, respondent no.1 (Centre) would not have the jurisdiction to issue the impugned circular. In this view, the communication and the circular are stayed, till the next date of hearing (May 17)," the judge said. The court sought response of the Centre and the DGHS on a petition by e-cigarette vendors . 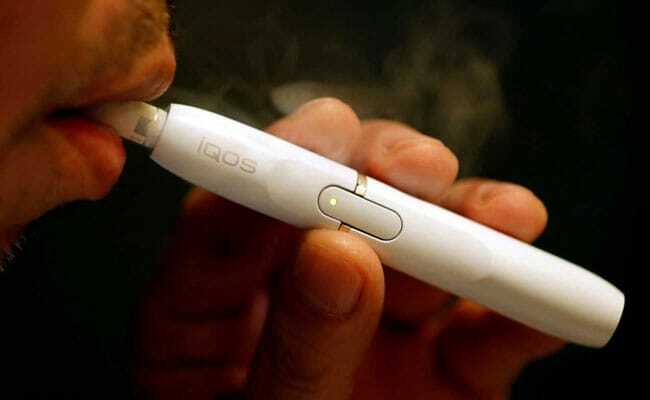 The Delhi High Court has stayed the Centre's circular banning sale and manufacture of Electronic Nicotine Delivery Systems (ENDS) like e-cigarettes and e-hookah with nicotine flavour, saying as the products were not a "drug", the authorities did not have the jurisdiction to issue such a direction. Justice Vibhu Bakhru said prima facie the products do not fall within the definition of a ''drug'' under the Drugs and Cosmetics Act. "This court is, prima facie, of the view that the products do not fall within the definition of a ''drug'', as defined under ... the Drugs and Cosmetics Act, 1940. The court stayed the Health Ministry's November 27, 2018 circular asking all customs authorities to ensure that the advisory regarding manufacture and sale of ENDS, including e-Cigarettes, Heat-Not-Burn devices, Vape, e-Sheesha and e-Nicotine Flavoured Hookah, is implemented. It also put on hold a February 22 communication issued by the Delhi government's Directorate General of Health Services (DGHS) asking the state licensing authorities to ensure that ENDS are not sold, manufactured, distributed, traded, imported and advertised in their jurisdictions, except for the purpose approved under the Drugs and Cosmetics Act. The court sought response of the Centre and the DGHS on a petition by e-cigarette vendors challenging the circular and the communication. They claimed that ENDS, including e-cigarettes, are substitutes to combustible cigarettes and they are healthier than combustible cigarettes as the use of such devices does not entail inhaling any tar, which is the product of inhaling smoke of burnt paper along with tobacco. The Centre contended that it is yet to be determined whether e-cigarettes are safer.